As we approached the port of Yokohama in Japan, we saw what looked like a big ugly milk carton floating in the sea in the distance. In fact, it was a cruise ship, and it would be our home for the next 12 nights. First impressions and ugliness aside, we were glad to experience some luxury after three months of roughing it, and were very happy to spend time with my Mum, Dad and brother Tom who joined us in Tokyo and would stay with us all the way through the 12 night cruise around Japan and South Korea to Shanghai in China. 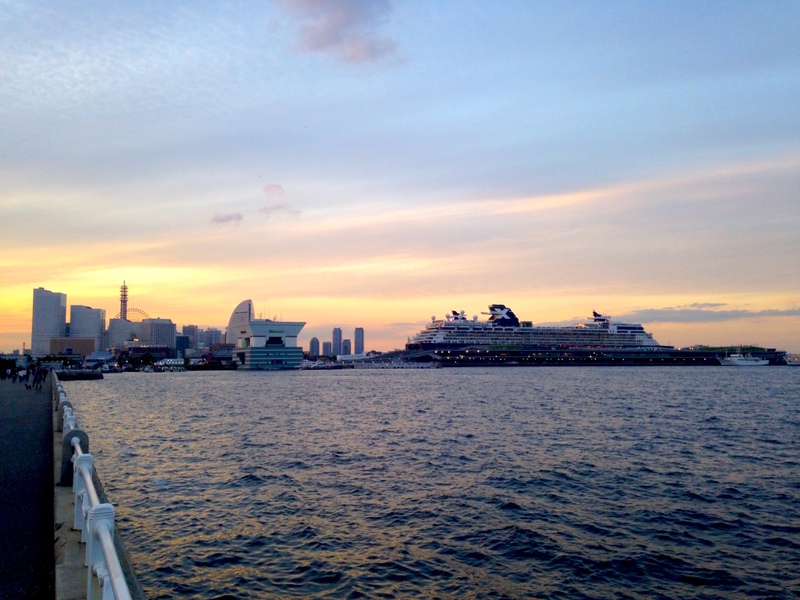 The cruise ship stopped at eight different ports of call in Japan and South Korea, which we had great fun exploring. While my Mum opted to join organised tours in most of the ports, Shane and I needed to preserve our finances as much as possible, so took various “self-guided” tours with my Dad and Tom. This invariably meant we spent hours navigating buses, metros, street cars, trains, boats and any other type of public transport you can think of in order to reach different points of interest. Thankfully, Japanese public transport was easy to use, instructions were often in English, and no matter what type of transport we took, it was always, always on time. The downside of this approach was that it could take a long time and / or several different connections to get to where we wanted to go. Most of the time, though, it was worth it. 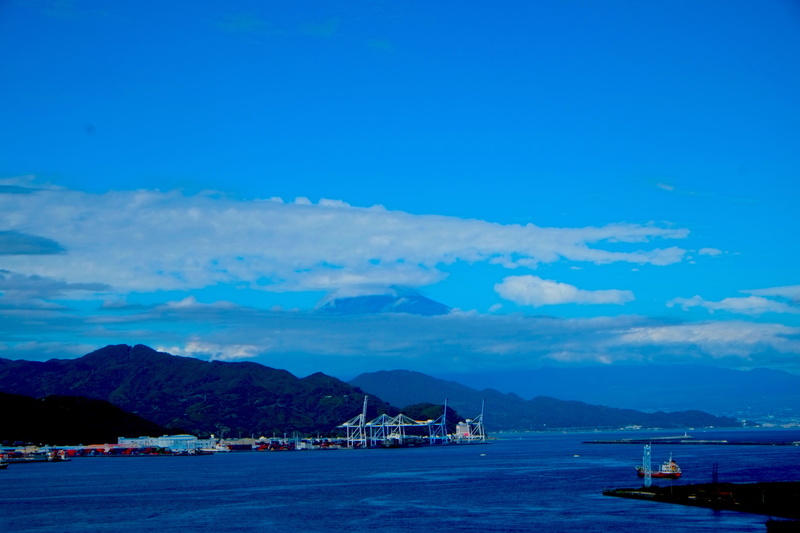 The only exception was at our first stop, Shimizu, where we embarked on a five-hour round trip to see a good view of Mount Fuji. Unfortunately, all we saw were a lot of clouds. 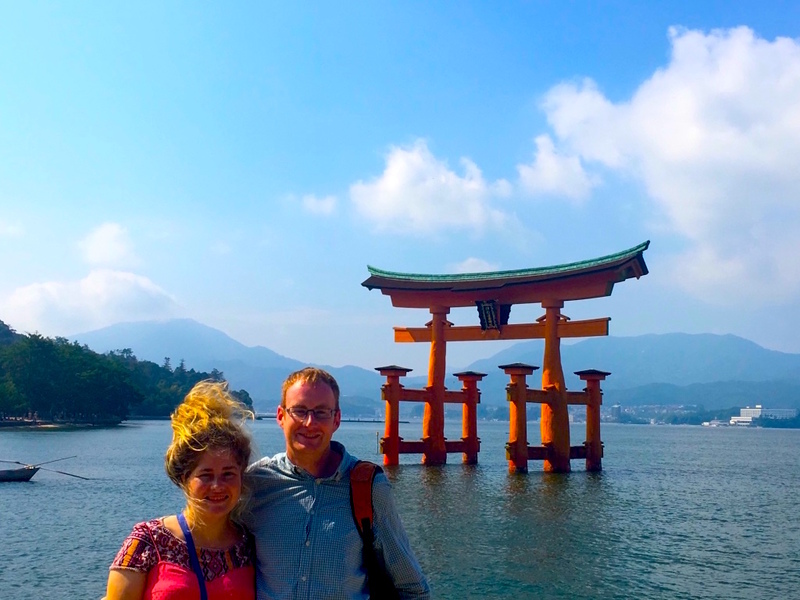 At some of the next ports of call (Kobe, Hiroshima and Nagasaki), we delved into the history, geography and after-effects of some of the various disasters Japan has faced over the years. First we visited the Disaster Reduction and Human Renovation Institution (this was the actual name, but we referred to it as the “earthquake museum” for short), where we learnt all about the 1995 Kobe earthquake, which killed over 6,000 people and left many more homeless. 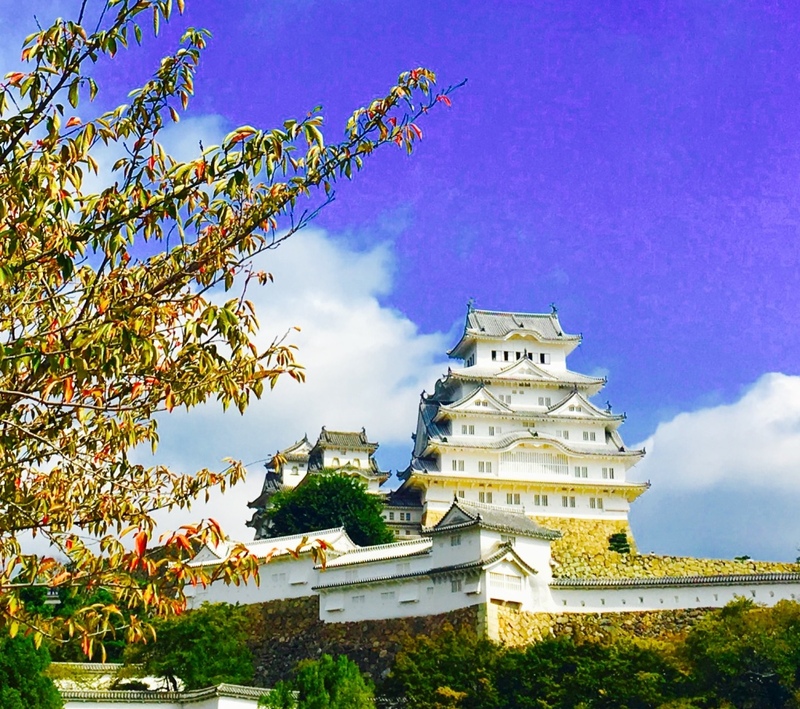 I was impressed that the museum didn’t just focus on the after effects of the earthquake, but aimed to prevent future disasters, both through changing the environment and improving the way buildings are constructed and educating the public about what to do in case of an emergency. We weren’t allowed to leave the museum without a disaster reduction pack, which told us what supplies we should get hold of and how we should prepare for an emergency. 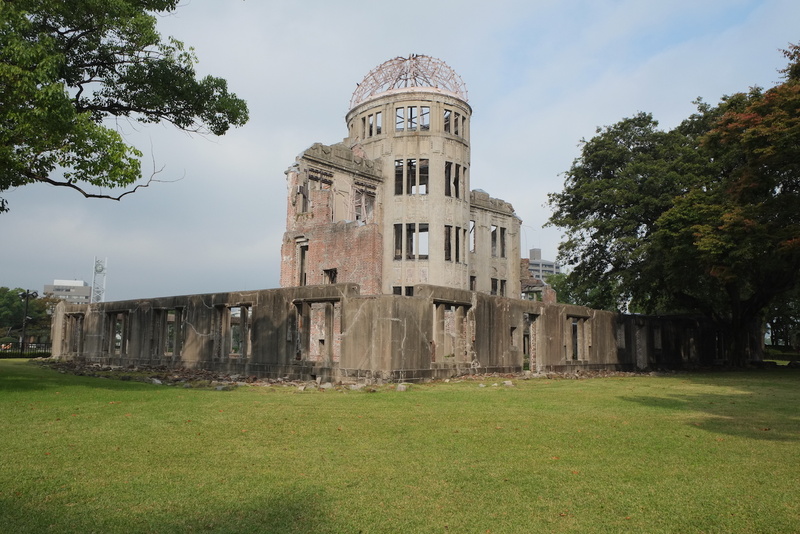 From learning about how natural disasters have affected Japan, we moved on to Hiroshima and Nagasaki where we saw some of the effects of two atomic bombs which were dropped on Japan in 1945 at the end of the Second World War. The bombs killed around 200,000 people in total, most of whom were civilians. The museums in Hiroshima and Nagasaki displayed harrowing images, accounts and items from the bombings. It was incredibly sad to see the impact close-up, but just as the Disaster Reduction Institute aimed to prevent damage from further natural incidents, both museums in Hiroshima and Nagasaki aimed to try and prevent future atrocities through calling for a world free from nuclear weapons. But our 12 days on board the ugliest cruise ship that ever sailed were not all disaster-related. 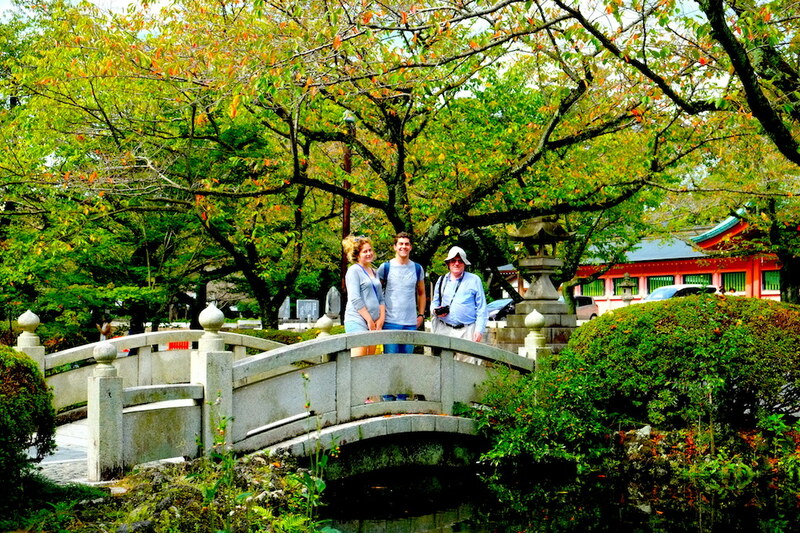 Particular highlights were our visits to Hemiji Castle near Kobe in Japan, and to Jeju, a large volcanic island in South Korea. 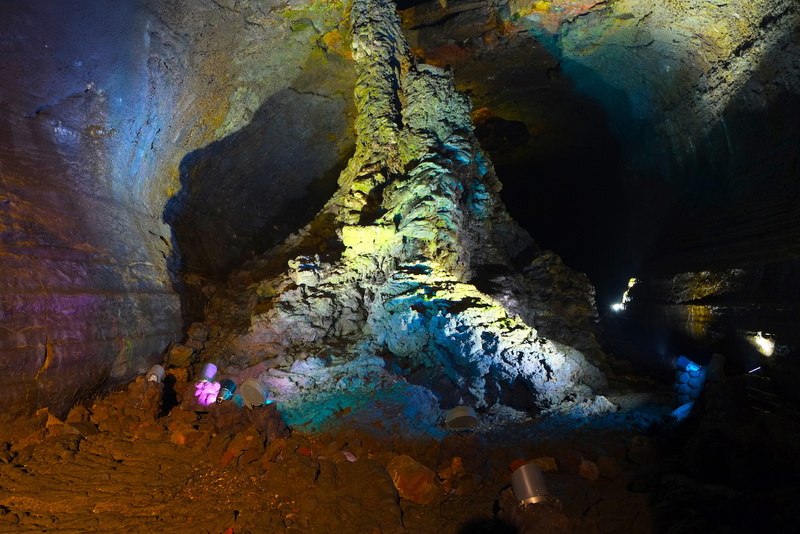 In Jeju we walked inside a giant lava tube (a cave made of lava), and saw some hilarious lava-constructions, such as a lava turtle, lava toes and a giant lava column. We also visited a huge maze which happened to be nearby. When we entered the maze we were given some helpful statistics, which left us with the impression that the maze would be quite challenging. According to the maze-stats, over a third of people who enter the maze never make it to the finish-point. Of those who do make it through, 15% take more than an hour to do so. Life on board the ship could also be fun, although our definition of ‘fun’ frequently seemed to be at odds with everyone else’s. One night there was a silent disco on board. “Great, that will be fun!”, we thought. Then we discovered the “different choices” of music on offer were all from some years (well, decades) before we were born. Some of the passengers who did participate had never heard of a silent disco and had little idea what was involved. This probably gives you a clue as to the age demographic of our fellow passengers. Determined to have fun regardless, one night Shane, Tom and I decided to make the most of the free (yes, that’s right, free) alcohol on board the ship. We stayed up late and decided to try and experience everything that the ship’s nightlife had to offer. We went to the on-board nightclub and encountered the worst DJ in history (thankfully we improved the standard of music by requesting Taylor Swift and Shakira at regular intervals). As we were the only people actually in the nightclub, we could at least do some incredible / terrible dance moves without anyone watching or judging. Around one o’clock in the morning we decided to see what was going on elsewhere and found, to our surprise, that although there were 2,100 passengers on board, not one of them was still awake. 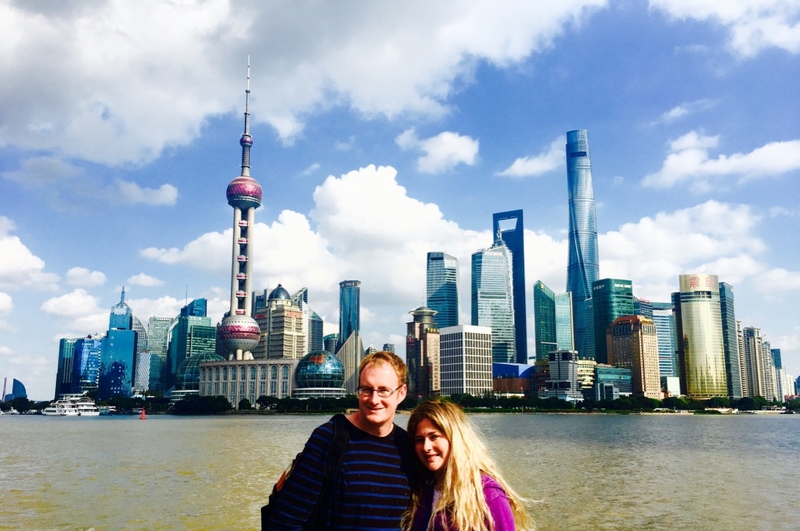 Despite the relatively luxurious surroundings, we weren’t too sad to leave our ship when it reached Shanghai. Unfortunately, once the time to disembark came, we found ourselves still stuck on the milk carton in the sea, five hours away from the port of Shanghai. The port had been closed due to poor weather conditions and we had been stopped well outside the city. Thankfully, although we had plans for our first day in Shanghai, we didn’t have a plane to catch, so could make the most of the free food, drink and entertainment on board while we were stranded. The situation was slightly reminiscent of our Azerbaijan-Turkmenistan ferry experience, where we ended up stuck outside the port in Turkmenbashi, and made us thankful we weren’t still on that boat instead. Eventually we pulled alongside a smoggy-looking Shanghai, and after a lengthy wait to pass through immigration, we made it to China. 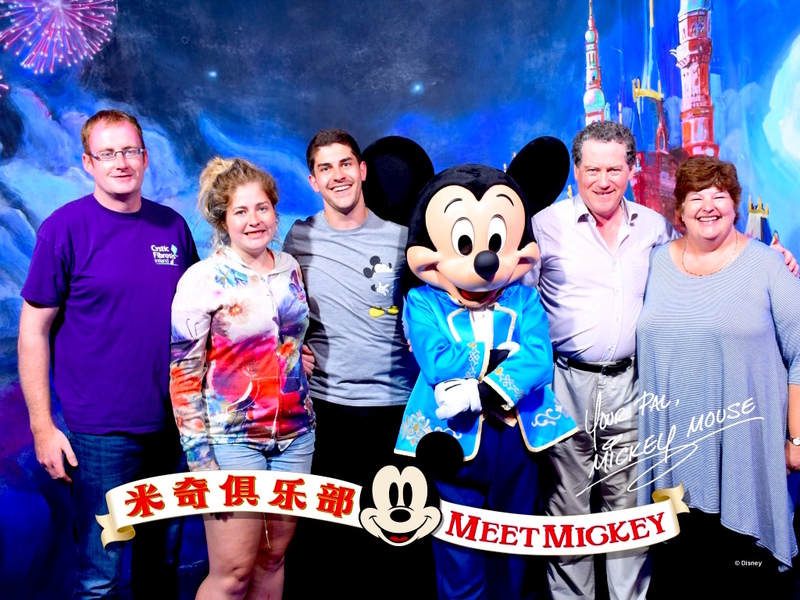 We may have missed out on our first day in the city due to poor weather conditions and a painfully slow immigration system, but we certainly made the most of the rest of our time… the first stop had to be Shanghai Disneyland! Shanghai Disneyland only opened in 2016, so everything about it is new and exciting. It is also the final piece of the Disney park puzzle for my brother, my parents and I, as we have now managed to visit every single Disney park in the entire world. Shane has just one more to cross off his list – Hong Kong Disneyland – which we hope to visit at some point in the future. Shanghai Disneyland was quite different from Tokyo (and the other Disneyland parks), but with a new and shiny feel as well as some excellent rides (Tron and Pirates of the Caribbean in particular), we had a magical time. From Shanghai, Shane and I flew to Manila for the next stage of our adventure, as we explore the wonderful world of South East Asia, starting with the Philippines! ….what is a silent disco?